Terrorist organizations, partially out of competition with ISIS, are regrouping, remobilizing and taking advantage of unstable polities and weaker states, Dr. Sreeram Chaulia, Dean of Jindal School of International Affairs, told RT. 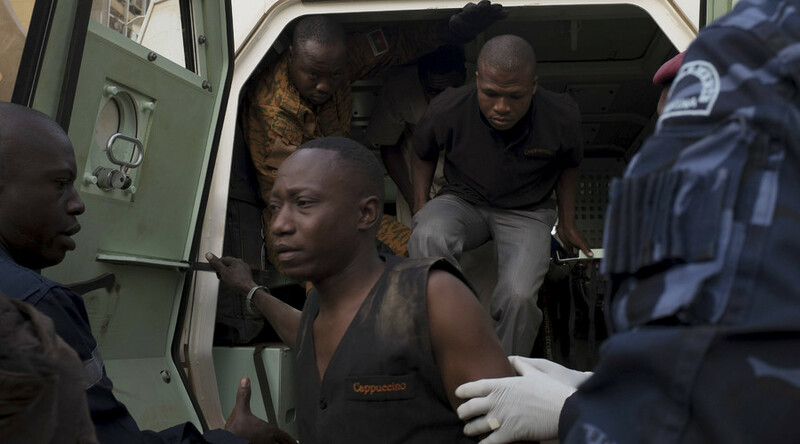 Following the terrorist takeover of a luxury hotel in Burkina Faso, which resulted in the death of at least 23 people from 18 different nationalities, a jihadist revival of sorts appears to be happening in Africa. RT: The capital of Burkino Faso witnessed a horrific terrorist attack on a luxury hotel on Friday; in November, terrorists struck in Somalia, while two months ago, Mali was targeted. Is Africa being consumed by terrorism? Dr. Sreeram Chaulia: I think there is a global jihadist revival. We are seeing from Indonesia through Africa, there is a wide arc there. Jihadist groups are regrouping, remobilizing and taking advantage of unstable polities and weaker states. Burkina Faso is bordering Mali, where there has been an Islamist takeover and a French military intervention. And before that, there was the catastrophic NATO intervention in Libya that started off this whole process by spreading weapons and fanatics all over the region. RT: Al-Qaeda has claimed both the attacks in Burkina Faso and Mali... with ISIL making so many grim headlines of late in the broader region, is this maybe some kind of headline-stealing attempt on behalf of the group? SC: Yes, in fact Ayman al-Zawahiri, the leader of Al-Qaeda, who is based in Pakistan, has recently released a number of messages threatening that there is a major revival and that Al-Qaeda is coming after all the apostates and the infidels… which are Muslims as well as non-Muslims who do not adhere to extreme interpretations of Islam. Therefore, there is a problem in the sense that they want to be in the limelight and don’t want to be sidelined by ISIS. So one way of looking at it is this intra-jihadist rivalry… is not weakening them. They are attacking weak states as well as soft targets like civilians caught up in hotels rather than each other. RT: Jihadists from small African terror cells are reportedly switching over to Islamic State - why is ISIL more appealing to them? CS: I think it’s because they’ve established a very big base in Libya now. After NATO destabilized Libya it became easy for ISIS to gain a foothold there. And now ISIS from Libya is branching out into the rest of Africa. So Libya is really the biggest problem created by Western military misadventure and illegal intervention and now they are facing the fruits of these terrible actions. Dr. Sreeram Chaulia is Professor and Executive Director of the Centre for Global Governance and Policy (CGGP) at the Jindal School of International Affairs.